“It’s National Nurses Week. 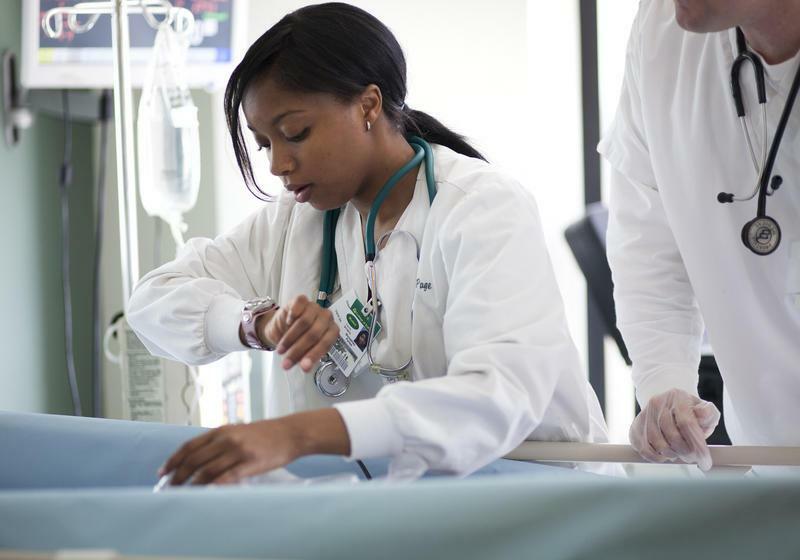 A Gallup poll recently ranked nursing the most trusted profession for the 16th consecutive year. Yet, there aren’t enough nurses to go around. The Suncoast Nursing Action Coalition held an event Wednesday in Sarasota, at which they discussed measures to combat a serious shortage of nurses that’s impacting hospitals and nursing schools in Southwest Florida and across the nation. Aspiring nurses who want to earn a bachelor’s degree — now considered the minimum standard for careers in high-technology medical environments — now have a second local option. State College of Florida has offered a pathway to the degree to nearly 1,000 nursing students in this area, and will add to its program soon with an accelerated curriculum called “BSN in Four.” And on Thursday, administrators at the University of South Florida Sarasota-Manatee officially realized the long-held dream of offering its local track to a bachelor of science in nursing. 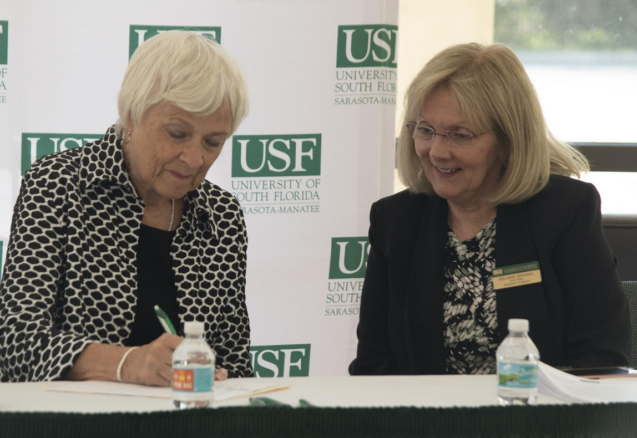 This fall, the school will enroll its first freshman class in a two-year pre-nursing curriculum, with the final two years of study expected to be in place by the fall of 2020. And already, regional chancellor Karen Holbrook said Thursday, three pre-nursing students have been recruited and admitted. The goal is to have 50 nursing students in each class, and applicants who live in this region and plan to work here will be given priority. This will elevate the quality of health care locally, Holbrook explained: While the Institute of Medicine has concluded that at least 80 percent of nurses should have a college degree by 2020, only 33.5 percent of nurses in this region meet that standard today. Research has shown that a more educated nursing workforce correlates to decreased mortality and complication rates, and fewer hospital-acquired infections and re-admissions. Florida may face an overall shortage of R.N.s as soon as 2025. “… The critical demand for hospital nurses is the result of an aging population combined with staggering workforce attrition. About 34 percent of newly licensed nurses who work in hospitals leave their jobs within two years. And a wave of retirements is coming. Of Florida’s current R.N.s, 44 percent are over the age of 50. 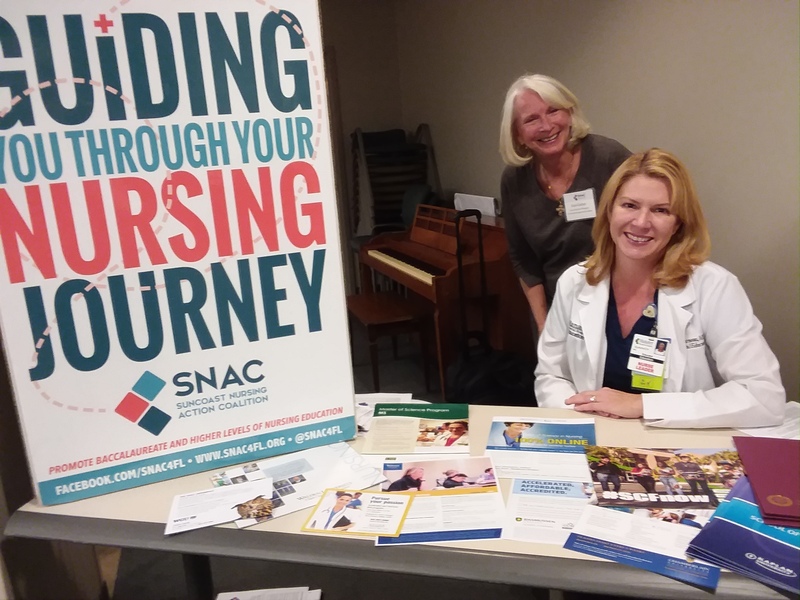 The Suncoast Nursing Action Coalition (SNAC)—a pilot project in Sarasota, Manatee, DeSoto and Charlotte counties—reports that Florida may face an overall shortage of R.N.s as soon as 2025. At the same time, Sarasota Memorial and hospitals across the country are pushing to make a B.S.N., a bachelor of science degree in nursing, the standard level of education since the degree is correlated with lower death rates, reduced disease and infection rates, and fewer complications. (Most nurses in the country have a two- to three-year associate of science nursing degree.) Currently, only a third of Southwest Florida nurses have a B.S.N. A national campaign led by the National Academy of Medicine is pushing for 80 percent of nurses to have their B.S.N. by 2020. This Job Fair is for YOU! This Virtual Job Fair is specifically for behavioral health professionals, which includes Psychiatrists, Psychologists, Licensed Clinical Social Workers, Licensed Professional Counselors, Marriage and Family Therapists, Nursing Professionals, and Physician Assistants (specializing in psychiatry, mental health, or behavioral health). HRSA Virtual Job Fairs are online recruitment events that connect career-seeking clinicians with health care organizations. After registering, prepare for the Virtual Job Fair by going to the Health Workforce Connector to build your searchable professional profile. Your profile is where you can highlight and share your professional experience, education, and employment preferences with organizations searching for qualified candidates like you! 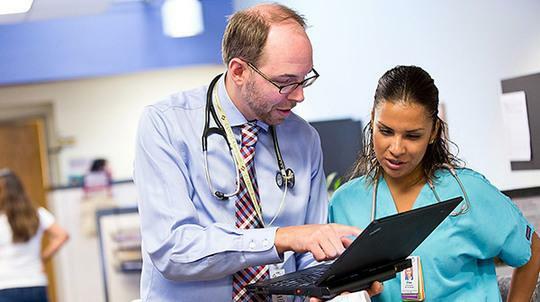 With nearly 5,000 job opportunities throughout nearly 22,000 organizations, the Connector helps future and current health professionals find careers in underserved communities. For current NHSC or NURSE Corps program recipients click here to use your current portal credentials to log in. For all others click here to set up a new account. At no cost, join the Virtual Job Fair to connect and network with more than 100 National Health Service Corps and NURSE Corps organizations who are providing behavioral, mental and substance abuse care in communities across the nation. You’ll be presented with hundreds of behavioral health opportunities, details about each organization’s benefit packages, their integrated approaches to care, and information about the patient populations they serve. The Health Resources and Services Administration’s NURSE Corps Loan Repayment Program (LRP) offers registered nurses and advanced practice registered nurses substantial financial assistance in exchange for full-time service either at a Critical Shortage Facility or an eligible school of nursing. NURSE Corps LRP awards are subject to the availability of funds. This notice is a contingency action taken to ensure that, should funds become available for this purpose, applications can be processed and funds awarded in a timely manner. Applicants should note that this Guidance may be cancelled prior to award recommendations in the absence of funding. 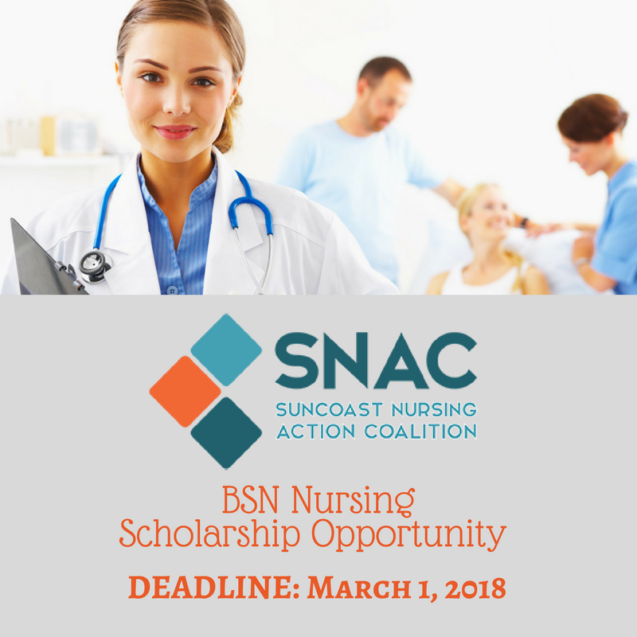 We pleased to share the application for the Suncoast Nursing Action Coalition’s BSN Scholarship opportunity. 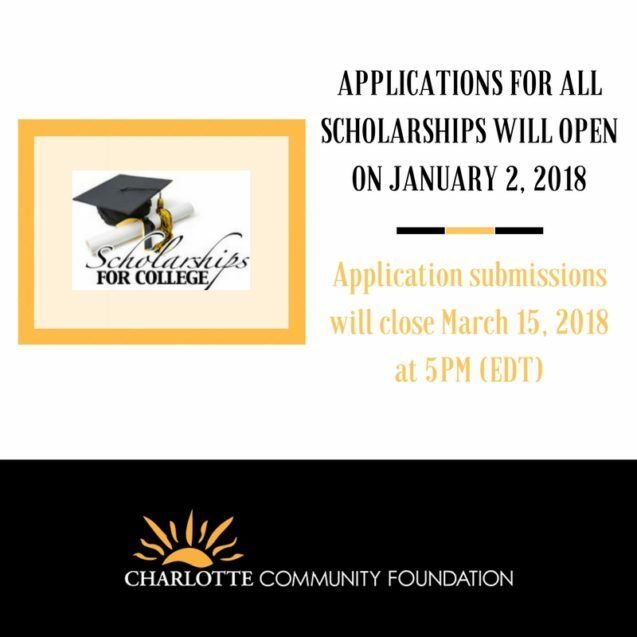 Feel free to share this application with anyone who may benefit from this opportunity. 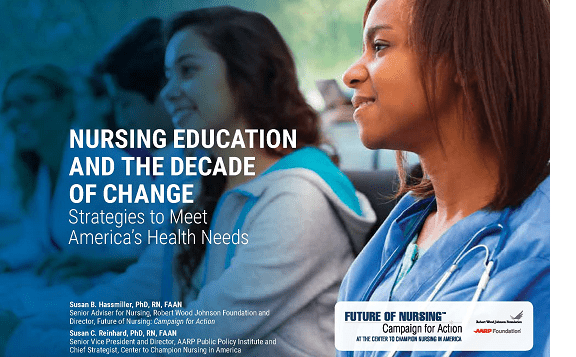 Nursing education has seen tremendous change in 10 years, thanks in large part to the Academic Progression in Nursing (APIN) program, the State Implementation Program (SIP), and the Center to Champion Nursing in America, all funded by RWJF. CCNA is also an initiative of AARP Foundation and AARP. A new compendium from the Campaign for Action reports on the collaborations fueling the transformation, as well as strategies to continue the work. The Nurses’ Health Studies, the largest, longest-running investigations of women’s health, has since 1976 relied on nurse participants to study a number of health factors. The third such study seeks 100,000 nurses or nurse students, ages 19 to 52, to participate in a web-based study of health issues related to lifestyle, fertility/pregnancy, environment, and nursing exposures. Apply. Charlotte Community Foundation offers several scholarships for Nursing Students residing in Charlotte County.